What is a crate engine? Someone with no replacement experience in the past can present that question. A crated motor provides a direct OEM replacement. These are useful for almost any vehicle that can accept these drop in motors. The concept of a crate motor has helped the auto industry. Mechanics now provide faster turnaround for swaps. Multiple installers are no longer required for a single vehicle install. The cheap crate engines found sold by this company provide ultimate value. Consumers tired of paying dealer prices can now pay what is acceptable at https://crateengines.co. Ford, Chevrolet and Dodge all sell performance engines. These are specifically designed for automobile owners and installation companies. One of the drawbacks to buying these units is the high cost. A crate builder can often produce a replica engine for less. 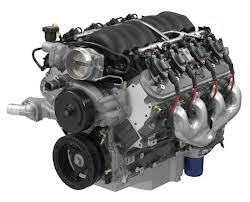 Rebuilt crate engines are one option that buyers have. Each style is offered on this very website. The different ways to replace a motor are represented for cost reasons. Used edition motors that are past the useful life can be changed out to a crate unit. It is the guarantee of quality and longevity that a new build can offer. Replacement engines without warranty protection are dangerous. The entire investment can be lost if a problem exists. From OEM part failures to sudden breakdowns, many issues can arise after installs are finished. Warranty programs provide the assurance that is useful before purchase is made. What is offered with the discount motors here is a 3-year program for warranties. Instead of shorter policies, the long-term coverage plan is offered as a bonus without extra charges applied. The unlimited 3-year time frame is our commitment to buyers. Problems are difficult for anyone to plan ahead of time. The assurance of the warranty program here is our gift to all buyers. Shipment fees can easily increase the cost of any engine purchase. A Ford, Chevy, Dodge, Plymouth, Chrysler or other engine here is always discounted for freight. This freight reduction can lower the selling price. Part of the freight program includes faster shipments. When you want an engine fast, waiting for days or weeks at a time is unacceptable. Freight agreements are always updated here to select companies able to deliver units faster. This ensures immediate delivery without errors. From shipment matching to expert routing, our team sends hundreds of engines each week to various locations in the U.S. and Canada. Finding discount motors is easier with this resource. Individuals, mechanics, junkyards and others purchase from our warehouse on a daily basis. The quote system in use here is automatic. You don’t need personal assistance to use it unless you need assistance. Enter what is asked to produce your pricing. The size, year and other information is matched on our end. Our goal is to distribute pricing fast and be the lowest price online. To get immediate assistance, call into this company using the toll free phone number provided. We’ll do what the other companies won’t do for you.